Why is it so difficult even for huge countries with large, diversified economies to maintain independence from the West? If anyone could have done it, it was Brazil. In the 19th century it was imagined that Brazil could be a Colossus of the South to match the U.S., the Colossus of the North. It never panned out that way. And 100 years later, it still hasn’t happened. With a $2 trillion GDP (a respectable $9,800 per capita), nearly 200 million people, and a strong manufacturing base (the second largest in the Americas and 28.5 percent of its GDP), Brazil is far from a tiny, weak island or peninsula dependent on a patron state to keep it afloat. When Luiz Inacio “Lula” da Silva won a historic election to become president of Brazil in 2003, it seemed like an irreversible change in the country’s politics. Even though Lula’s Workers’ Party was accused of being communists who wanted to redistribute all of the country’s concentrated wealth, the party’s redistributive politics were in fact modest—a program to eradicate hunger in Brazil called Zero Hunger, a family-based welfare program called the Family Allowance, and an infrastructure spending program to try to create jobs. But its politics of national sovereignty were ambitious. It was under Workers’ Party rule (under Lula and his successor, president Dilma Rousseff, who won the 2010 election to become president at the beginning of 2011) that the idea surged of a powerful BRICS (Brazil, Russia, India, China, South Africa) alliance that could challenge the ambitions of the U.S.-led West. Brazil took steps to strengthen its manufacturing, and held its ground on preventing pharmaceutical patent monopolies. Lula’s Brazil accused Western countries of hypocrisy for insisting both on “free trade” with poor countries and farm subsidies for themselves. Brazil even moved in the direction of building an independent arms industry. Contradictions remained: The Workers’ Party government sent Brazilian troops to command the UN force that enacted the U.S.-impelled occupation of Haiti—treating the world to the spectacle of the biggest, wealthiest country in the region helping the U.S. destroy the sovereignty of the poorest as part of its foreign policy. But in those years Brazil refused to renounce its alliance with Venezuela’s even more independent-minded government under Hugo Chavez; it defended ideas of South-South cooperation, especially within Latin America, and it made space for movements like the Landless Peasants’ Movement (MST). But after more than a decade of Workers’ Party rule, what happened? President Rousseff was overthrown in a coup in 2016. When polls showed that Lula would have won the post-coup election, he was imprisoned to prevent him from running. 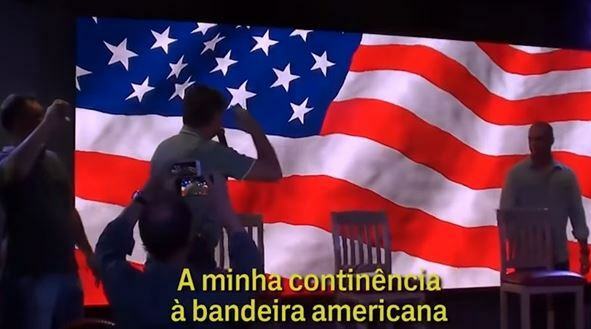 And so with the Workers’ Party neutralized, Brazil elected Jair Bolsonaro, a man who famously saluted the American flag and chanted “USA” while on campaign (imagine an American leader saluting the Brazilian flag during a presidential campaign). No doubt the coup and the imprisonment of Lula were the key to Bolsonaro’s rise, and failings like supporting the coup in Haiti played a role in weakening the pro-independence coalition. But what about the economy? Are Brazil’s leaders now dragging the economy into the U.S. fold? Or did the Brazilian economy drag the country back into the fold? Brazil’s economic history and geography have made independence a challenge. Colonial-era elites were interested in using slave labor to produce sugar and export as much of it as possible: The infrastructure of the country was built for commodity extraction. Internal connections, including roads between Brazil’s major cities, have been built only slowly and recently. The various schemes of the left-wing governments of the last decade for South-South economic integration were attempting to turn this huge ship around (not for the first time—there have been previous attempts and previous U.S.-backed coups in Brazil), and to develop the internal market and nurture domestic industries (and those of Brazil’s Latin neighbors). Yesterday’s dependent economy was based on sugar export—today’s is based on mining extraction. When Bolsonaro was elected, the Canadian Broadcasting Corporation quickly posted a story speculating on how the new government would be good for Canadian mining companies. The new Brazilian president plans to cut down huge swaths of the Amazon rainforest. Brazil is to return to its traditional role of providing natural resources to the U.S. and to the other rich countries. A smaller country with a stronger pro-independence leadership, Venezuela faced similar structural economic problems that have imperiled and nearly derailed the independent-minded late president Hugo Chavez’s dream that Venezuelans would learn to eat arepas instead of hamburgers and play with Simon Bolivar dolls instead of Superman ones. There, too, the pro-independence project had a long-term goal of overcoming the country’s dependence on a single finite commodity (oil), diversifying its agricultural base and internal markets. And there, too, the challenge of doing so proved too great for the moment, especially in the face of an elite at least as ruthless as Brazil’s and nearly two decades of vindictive, pro regime-change U.S. policy. Today Venezuela’s “Bolivarian project” is in crisis, along with its economy and political system. There are other sleeping giants that remain asleep, perhaps for economic reasons. In the face of relentless insults by Trump, the Mexican electorate chose a left-wing government (Mexicans have elected left-wing governments many times in the past few decades, but elections have been stolen). But locked into NAFTA, dependent on the U.S. market, Mexico also would seem to have little option but to swallow Trump’s malevolence. Egypt is the Brazil of the Middle East. With 100 million people and a GDP of $1.4 trillion, the country that was for a few thousand years the center of civilization attempted in the 20th century to claim what is arguably its rightful place at the center of the Arab world. But today, this giant and former leader of the nonaligned movement is helping Israel and the U.S. starve and besiege the Palestinians in Gaza and helping Saudi Arabia and the U.S. starve and blockade the people of Yemen. Egypt stopped challenging the U.S. in the 1970s after a peace deal brought it into the fold for good. Exhaustion from two wars with Israel were cited as the main cause—though a proxy war with Saudi Arabia in Yemen and several domestic factors also played a role. But here, too, is there a hidden economic story? Egypt has oil, but its production is small—on the order of 650,000 barrels a day compared to Saudi Arabia’s 10 million barrels, or the UAE’s 2.9 million. It has a big tourist industry that brings in important foreign exchange. But for those who might dream of an independent Egypt, the country’s biggest problem is its agricultural sector: It produces millions of tons of wheat and corn, but less than half of what it needs. As told in the classic book Merchants of Grain, the politics of U.S. grain companies have quietly helped feed its power politics all over the world. Most of Egypt’s imported grain comes from the U.S. As climate change and desertification wreak havoc on the dry agricultural ecosystems of the planet, Egypt’s grain dependence is likely to get worse. The structures of the global economy present challenges to any country or political party that wants to try to break out of U.S. hegemony. Even for countries as big and with as much potential as Brazil or Egypt, countries that have experienced waves of relative independence, the inertia of these economic structures helps send them back into old patterns of extraction and debt. In this moment of right-wing resurgence it is hard to imagine political movements arising with plans to push off the weight of the economic past. But that weight cannot be ignored. After the 2016 U.S. election, Barack Obama provided some perspective on the U.S.’s growing fear of Russia; fear that has only grown in the year since. Obama was appealing to an analysis students are taught in first-year undergraduate international relations class: the idea, espoused in Yale history professor Paul Kennedy’s textbook The Rise and Fall of the Great Powers, that military power is determined ultimately by industrial power. Kennedy’s work is full of tables showing the relative industrial power of countries in armed conflict. The winner in each case is the one with more industrial power. Table 33, Tank Production in 1944, shows Germany producing 17,800 tanks, Russia producing 29,000 tanks, Britain producing 5,000, and the US producing 17,500. Germany produced less than Russia alone, in other words, and far less than the Allies combined. Table 34, Aircraft Production of the Powers, shows how year after year, the allies out-produced the Axis, by the end, by more than four times or five times. Table 35 shows combined military production: The Allies produced $62.5 billion in arms in 1943, compared to $18.3 billion from the Axis. Based on the tables, the allied victory was inevitable. The tables don’t lie. Look at hundreds of years of war and in each conflict, the side that brings the most economic power to bear almost always wins. Trying to estimate Russia’s relative power has been a Western preoccupation for centuries. One quote, “Russia is neither as strong nor as weak as it appears,” has been attributed to Western statesmen from Metternich to Talleyrand to Churchill. Going through Great Power history looking specifically for Russia, we see phases during which Russia’s relative power expanded and phases when it contracted. Between 1815-1880, as the other powers were industrializing, they pulled far ahead of Russia: Russia’s GNP in 1830 was $10.5 billion, compared to Germany’s $7.2 billion and Britain’s $8.2 billion; but in 1890, Russia’s GNP had grown to $21.1 billion while Germany’s had grown to $26.4 billion and Britain’s to $29.4 billion. Russia had fallen even further behind on a per capita basis. It was in this period, in 1867—when Russia’s rulers wondered whether they would even be able to get to their Alaskan territory should the invincible British navy contest them—that they sold Alaska to the United States. At the end of this period, in 1904-’05, Russia lost a war to Japan, a loss that surprised both sides. Despite two devastating World Wars, Russia was, in relative terms, at its strongest during its Soviet phase from 1917-1991. Even in those decades, though, as Russia expanded its industrial and military power, it never came close to rivaling the wealth and power of the United States. The post-Soviet phase in Russia began with the fastest loss of living standards for the greatest number of people in history. Around 70 million people became impoverished virtually overnight when Yeltsin imposed American-advised economic shock therapy on the country. In the 1990s, NATO expanded across Central Europe and reached Russia’s own borders. NATO military interventions dismembered Russia’s ally, Yugoslavia, and a U.S.-led covert mission destroyed Russia’s neighbor, Afghanistan, which is today occupied by U.S. troops. If Russia’s might seems to be growing today, it is because Putin set about trying to reverse some of the post-1991 losses to Russian living standards and to Russia’s regional alliances. To the degree that Putin’s policies have been successful—in restoring Russia’s per capita GDP to pre-1991 levels by around 2006, for example, and preventing Syria’s state from being partitioned like Yugoslavia was—they are popular in Russia. This is a far cry, however, from making Russia (with a $1.3 trillion GDP) a challenger to a U.S. economy 15 times its size (with an $18 trillion GDP). In 2017, the U.S. spent a cool 10 times what Russia did on arms; the U.S. budget is around $600 billion, the Russian is $61 billion. Russia spends considerably less than China ($150 billion) and less than Saudi Arabia ($77 billion). Russia approaches U.S. levels in arms exports—the U.S. exported around $10 billion in 2016, while Russia came in second at around $6.4 billion, according to a report by the Stockholm International Peace Research Institute. But it is still behind the U.S. even on this metric. By other, softer measures of power, Russia has yet to catch up to its pre-1991 levels. In scientific research, in the early 1990s, Russia was producing around the same amount of research as China, India and Brazil, none of which were anywhere near the U.S. By 2009, 20% of global science publications were authored by Americans; 13.7% by Chinese; and only 1.6% by Russians. In 2011, U.S. researchers published 212,394 papers. Russian researchers published 14,151. None of this precludes the sorts of Russian influence that the American public fears. Russia doesn’t have to have more scientific output than America to get compromising information on its president or to have informal influence over him. Russia doesn’t have to outspend America for Russian hackers to get a lucky break and expose embarrassing emails that influence an election. But lucky breaks and clever spycraft are as easy for the wealthier and more powerful side to achieve as they are for the smaller, weaker country—easier, even. In the long run, industrial power is a better predictor of influence. America’s military bases ring Russia’s borders, not the other way around. America’s economic power dictates to the world, not Russia’s. And even if a Russian hacker group got a lucky break once a week, the fact is that day to day the Internet is monopolized by American corporations that work with American government agencies to maximize American influence in the world. Exaggerating Russian power may help justify higher military expenditures in the U.S.; it may soothe Democratic party leaders who want to believe their electoral loss was due to something other than their own unpopularity. But it requires ignoring hundreds of years of the history of economic and military power. First published on AlterNet March 6, 2018. The story goes that Einstein’s theory of relativity began with a simple question: What if a person could sit on a beam of light? A single inquiry led to an entire field of study, and perhaps the world’s most famous scientific breakthrough. The late Ed Herman’s questions were less playful. They were about war and death, lies and power politics, but they too created entire areas of study. If properly considered, they can even guide us through the perilous age in which we’re living. Herman is best known for co-authoring Noam Chomsky’s iconic Manufacturing Consent, which explores how U.S. corporate media operates as a system of disinformation. Written during the Cold War, the book challenged readers who understood propaganda to be a tool of the Soviet Union. How could a diverse industry without official censors to monitor what it published or aired, that was neither owned nor controlled by the state, be used for social control? Quite easily, as it turns out. The world offers an almost infinite array of events that can be covered, and media insitutions must decide what’s most relevant to their audiences. In other words, they operate as an information filter. But how do they provide their viewers, listeners and readers with the best possible understanding of the world? Ideally, these institutions produce the kind of coverage necessary to make informed decisions about public policy. In reality, Chomsky and Herman discovered, they serve the interests of the rich and powerful. In their propaganda model, the pair identified five distinct filters: Media ownership, which is concentrated in the hands of a few spectacularly wealthy corporations; ideology, specifically anti-communism, which “helps mobilize the populace against… anybody advocating policies that threaten property interests or support accommodation with Communist states and radicalism”; advertising, or the selling of audiences to advertisers, which can lead to any number of distortions and misconceptions; official sourcing, which often leads to self-censorship as media outlets become dependent on their access to members of the government; and finally organized flak, which allows lobbies to lean on journalists and outlets who deviate from the status quo. Manufacturing Consent remains as vital today as it was when it first published in 1988. Anti-communism continues to dominate our discourse, even in the absence of a Soviet Union or communist China, while several prominent media personalities have made their careers decrying “leftist ideologues.” Media ownership has become even more exclusive, and the advertising model has overtaken the whole of society by way of Google and social media. Twitter mobs can be manufactured and mobilized; organized flak is now a matter of life and death. Not only did Herman ask the kinds of questions that produced one of social science’s most compelling theories, but he served as a model of rigor for media critics across the political spectrum. The 1988 edition of Manufacturing Consent ran 330 pages (including appendices), 63 pages of which were endnotes. Its voluminously documented cases were always supplemented by quantitative analysis: the amount of coverage devoted to so-called enemies of the state was inversely proportional to that of crimes committed by the U.S. and its allies. This method can be applied to virtually any line of journalistic inquiry, be it war, economic crisis or a political dispute on campus. In The Politics of Genocide, which he co-authored with David Peterson, Herman argued that Western media used the term “genocide” to quash debate about foreign policy, specifically NATO’s efforts to dismantle Yugoslavia, and the joint support of the United States and Britain for Rwandan dictator Paul Kagame. He was immediately labeled a “genocide denier.” More recently, in its obituary for Herman, the New York Times accused Manufacturing Consent of “having soft-pedaled evidence of genocide in Cambodia, Rwanda, and, during the Bosnia war, Srebrenica.” FAIR and other outlets were quick to point out that the book was published years before two of the conflicts, and the obit was corrected. The zeal with which these outlets tried to smear Herman’s name could have made a case study for Herman himself. Knowing Herman, the study would have been carefully modeled, meticulously conducted, and revealing in its conclusions about the mainstream media. American readers would have gained a fresh understanding of their country’s propaganda system, not only how it works but how they can subvert it. Published Feb 15/18 on AlterNet as: What Can Noam Chomsky’s Co-Author Teach Us in the Age of Trump? Academics should be collaborating, not competing for pseudoscientific rankings. At a time when federal employees are prohibited from uttering the phrase “climate change,” the right routinely attempts to undermine universities’ legitimacy, and tuitions have skyrocketed alongside student debt, it seems perverse that academics would further endanger their mission to educate and enlighten. Yet by embracing a malignant form of pseudoscience, they have accomplished just that. There are many reasons this method has proven so successful in learning about nature: the grounding of findings in research, the openness of debate and discussion, and the cumulative nature of the scientific enterprise, to name just a few. There are social scientists, philosophers, and historians who study how science is conducted, but working scientists learn through apprenticeship in grad school laboratories. Scientists have theorized, experimented, and debated their way to astounding breakthroughs, from the DNA double helix to quantum theory. But they did not arrive at these discoveries through competition and ranking, both of which are elemental to the business world. It’s a business, after all, that strives to be the top performer in its respective market. Scientists who adopt this mode of thinking betray their own lines of inquiry, and the practice has become upsettingly commonplace. Here are five ways capitalist logic has sabotaged the scientific community. One might just as easily ask why we need to know that one journal’s impact factor is 2.222 while another’s is 2.220. An alternative to Impact Factors and h-indexes is called “alt-metrics,” which seeks to measure an article’s reach by its social media impressions and the number of times it’s been downloaded. But ranking based on likes and followers is no more scientific than the magical h-index. And of course, these platforms are designed to generate clicks rather than inform their users. It’s always important to remember that Twitter is not that important. The U.S. network of universities is one of the engines of the world’s wealthiest country, created over generations through trillions of dollars of investment. Its graduates manage the most complex economies, investigate the most difficult problems, and invent the most advanced creations the planet has ever seen. And they have allowed their agendas to be manipulated by a little magazine called the US News and World Report, which ranks them according to an arcane formula. Why have these incredibly powerful institutions abandoned critical thought in evaluating themselves? Only by recognizing that we are not bound to a market-based model can we begin to reverse these trends. The Yemen Civil War could have been a local power struggle, if not for the Saudis’ heavy hand. The British Empire ruled the Yemeni city of Aden in South Yemen as a colony, a refueling station for ships on the way to the Empire’s Indian possessions. Gaining independence in 1967, South Yemen had a socialist government from 1970 on, becoming the People’s Democratic Republic of Yemen (PDRY). Northern Yemen was ruled by a king from the city of Sana’a who followed of the Zaydi denomination of Islam, clashing periodically with both the British and with the Saudi kingdom over borders in the 1930s. Arab nationalist revolutionaries overthrew the king in 1962, starting a civil war between nationalists, backed by Arab nationalist (Nasserite) Egypt and royalists, backed by Saudi Arabia, Jordan, and Iran (then a monarchy too). A peace deal was reached and by 1970, even Saudi Arabia recognized North Yemen as the Yemen Arab Republic (YAR). North and South Yemen talked about unification throughout the 1970s and ’80s, and it finally happened in 1990, after the fall of the Soviet Union that had been South Yemen’s most important ally. Saleh had to navigate a dangerous time for the Arab world. When Saddam Hussein’s Iraqi forces invaded Kuwait in 1990, the US under Bush declared a New World Order, showing that the US could now operate in the region without any concern about a Soviet deterrent. Yemen happened to be on the UN Security Council in November 1990 when Resolution 678 authorizing the use of force to remove Iraq from Kuwait—authorizing the first Gulf War, in effect—came up for debate. Yemen voted against the resolution. The American representative famously told his Yemeni counterpart, “That was the most expensive vote you ever cast.” Yemen, which had hundreds of thousands of workers in the oil-rich Gulf countries including Kuwait, found its workers expelled and its Western aid programs cut when the war was over. Yemen was made an example of. When bin Laden’s al Qaeda attacked US embassies (killing 44 embassy personnel and 150 African civilians), a US naval vessel (the USS Cole), and finally US civilians on 9/11, the US declared a war on terror. Saleh had learned his lesson from 1990 and agreed to cooperate with the US after 2001. By this time, Saleh had been in power for more than two decades, and had enriched himself and his family in the process (his son, Ahmed Saleh, was a commander in an elite army unit). The vice-president, Abdrabbah Mansur Hadi, also headed a powerful and wealthy family. Other “big names” in Yemen include the Al-Ahmar family (which includes the current Vice President in exile and army general Ali Mohsen al Ahmar, billionaire media owner Hamid al Ahmar, and the founders of the Islamist, Muslim Brotherhood affiliated Islah party) and of course the Houthi family of Sa’ada, a mountainous governorate on the border with Saudi Arabia. The Houthis, like the old kings of North Yemen, are of the Zaydi denomination. The term “tribe,” used by the British Empire for its imperial purposes of classification and rule, refers to a genuine social phenomenon, but is not especially useful in explaining the politics of Yemen. The country’s elite is indeed organized in extended family networks, but this is arguably not so different from Western countries (how many Bushes and Clintons have participated in ruling the US empire by now?). Politicians and bureaucrats use public office to enrich themselves. This, too, is not so different from Western countries, with the Trump brand being the starkest example. The Yemeni version of elite profiteering is exemplified in the smuggling of diesel fuel out of the country. Sarah Philips, author of Yemen and the Politics of Permanent Crisis, cites analyses suggesting that 12% of Yemen’s GDP is smuggled out, the profits siphoned off by the elite – dollar estimates run as high as $900 million, with reports of a single man from a prominent family taking $155 million in smuggling profits in one year. In the chant, “curse on the Jews” stands out from the group of otherwise hyperbolic items seeking victory for one’s own side and death to the other. Even before this civil war, the Jewish community in Yemen was very small and long-suffering. Ginny Hill, author of the 2016 book Yemen Endures, found in her travels that “prejudice against the Jews was prevalent and unabashed,” and that Yemeni Jews in Sa’ada and elsewhere have suffered greatly from being caught in the middle of the Houthi insurgency. Provoked by the Houthi chant and hoping to show his eagerness to fight the war on terror, Saleh sent the army into Sa’ada in 2004. The Houthis fought back. The army killed Hussein al-Houthi, who became a martyr of the Houthis’ cause. Six waves of warfare followed over the next seven years, as Saleh’s forces kept trying to quell the Houthis, whose power base in the north continued to grow. Saudi Arabia stepped in to support Saleh in 2009, and the Houthis responded with a quick raid from Sa’ada into the Saudi kingdom itself. Meanwhile, in what had been South Yemen, al Qaeda in the Arab Peninsula (AQAP) was growing as well, and also challenging Saleh’s government. President Obama’s drone program blasted away in the south, leaving civilian casualties and terror in its wake. Saleh’s strategy was to focus on fighting the Houthis and make exaggerated claims that they were sponsored by Iran, while keeping a lighter touch with AQAP, which had more powerful patrons in Yemen’s elite. In 2011, the Arab Spring came to Yemen and an alliance from the elite families joined the mass call for the end of Saleh’s rule. Saleh first agreed to step down, then refused. He was injured by a bomb blast in June and went to Saudi Arabia for medical treatment. He finally did step down, handing power over to his vice-president, Hadi, in 2012. Hadi presided over a constitution-drafting exercise. One feature enraged the Houthis: a plan to redraw the regions of Yemen, making Sana’a and Aden self-governing and merging Sada’a into a new highland governorate, “a formation that would deny the Houthis control over the Red Sea coast to west, cut them off from natural resources to the east, and fence them up against the Saudi border to the north,” as Ginny Hill wrote. Saleh, a wily operator who had survived in power since 1978, could not survive this last alliance with the Saudis: he was killed within 24 hours of making it. This December 3, Saleh announced he was switching sides, leaving his alliance with the Houthis and joining Hadi and the Saudis. The Houthis quickly routed his forces in the capital and blew up his house. The next day they stopped him at a checkpoint and killed him too, announcing that they had avenged Hussein al-Houthi. Saleh’s son Ahmed quickly announced his plans to avenge his father. The return of Gulbuddin Hekmatyar, the Butcher of Kabul, is the latest symbol of the country’s destruction. Peace processes are painful. For the sake of the country, victims are asked to forgive what was done to them. If the prospects for peace are real, some are willing to do it so that the war does not go on. So it is worth looking at what Afghans are being asked to forgive, and what relationship Hekmatyar’s return has to peace. The war in Afghanistan today is not a war about ideology, progress, or what kind of society Afghanistan will be. The belligerents are the Islamic Republic of Afghanistan on the one side and the Taliban on the other. Both sides are coalitions that spend resources and lives on infighting. There are defections and local understandings, alliances made and broken. Local life is determined by warlords. This is how the Afghan war has been fought for more than 25 years. Hekmatyar has been active for much longer than that. When Hekmatyar’s career started in the 1970s, Afghanistan’s war had a very different character. Afghanistan wasn’t always an eternally conservative place: people like Hekmatyar had to kill a lot of Afghans to make it seem so. The debate about reform in Afghanistan is an old one. One reform-minded monarch, Amanullah Khan, defeated the British imperial armies in 1919 and spent the next 10 years building girls’ schools, overturning dress codes for women, putting forward a constitution, and trying to weaken tribal ties. There were revolutions and changes happening all over that part of the world, from East Asia to the newly created Soviet Union. Such reforms, 100 years ago, did not seem so unusual for a progressive government in Asia to attempt. Amanullah was overthrown though, by rivals operating with support from the vengeful British. He had a series of short-lived successors who sacked Kabul, rolled back the reforms, and repaired the relationship with the British Empire. After four years of this chaos, King Zahir Shah (who would rule for 40 years) arrived on the throne, and reform was back on the agenda. In a chapter of a new book on Afghanistan’s Islam from Conversion to the Taliban, Afghan-Australian scholar Faridullah Bezhan writes about the first political party to work openly in Afghanistan: the Awaken Youth Party, which emerged in the 1940s. The AYP espoused nationalism and constitutionalism against the religious establishment. According to Bezhan, the AYP’s nationalist ideas were popular with a large portion of the country’s educated class. Nationalists sought to counter the influence of the religious establishment, whose members had often been sponsored by the British and who were happy to undermine national agendas in exchange for imperial support for their social conservatism. The AYP sought to reform Afghan society into a constitutional monarchy through modern education. They believed in the “fight against superstition and bad social customs,” and even in “consuming local products as much as possible.” By the 1950s, religious figures were leading demonstrations against modern education and nationalists were leading demonstrations in support. At this point, the Islamists started to try to organize political parties to imitate the effectiveness of the nationalists. The government cracked down on all parties in 1952. But a decade later, reform was back again. Zahir Shah introduced a new constitution in 1964, beginning the constitutional decade. The constitution guaranteed the vote, women’s rights, and parliamentary elections, but the king stopped short of legalizing political parties. Parties worked unofficially at the new educational institutions, which each had foreign sponsors: Kabul University, which attracted foreign aid from the US, and the Polytechnic, which attracted Russian aid. The strongest political parties were communists (Parcham and Khalq factions), Maoists (Shola-e-Jawedan), and Islamists (Hekmatyar was in the Jawanan-e-Musalman, but the Islamists split into a number of groups). The debates in the constitutional decade are as unrecognizable compared to today’s Afghanistan as the now-famous photos of female students from the period are. A major dispute with the Shah’s Iran over water rights and a hydroelectric dam brought thousands into the streets. A dispute with Pakistan over the status of Pakistan’s Pashtun areas and populations (the so-called “Pashtunistan” issue) preoccupied successive elected governments. But Gulbuddin Hekmatyar—who flunked out of engineering school at Kabul University at this time—had other concerns. These were conducting acid- and rock-throwing attacks against female students, and murdering leftists, whether they were Parcham, Khalq, or Shola-e. Hekmatyar was jailed in 1972 for the murder of Maoist student and poet Saydal Sukhandan, but escaped a year and a half later—though not before he was given a leadership role in the Islamist movement, directing their political activities in jail. Shortly after he got out of jail, Hekmatyar fled to Peshawar, Pakistan, along with other famous Islamist leaders, Burnuhuddin Rabbani and Ahmad Shah Massoud. These Islamists, led by Massoud, launched a failed uprising against the government in 1975. Massoud, who was later known as the Lion of the Panjshir Valley, was routed quickly by the Afghan army and by people of that valley, who, at the time, supported the government and had no interest in an Islamist uprising. This was years before the Soviet invasion: the Islamists, who became the mujahideen, were fighting against Afghan nationalism and progressive reform. And the US supported them the whole time. This history matters because it dispels some very pernicious myths about Afghanistan. Eternally conservative countries don’t need men like Hekmatyar to murder leftists and assault female students. And the mujahideen, supported by the empire of the day (the US), were trying (and failing) to overthrow reform long before the communist coups of 1978 and the Soviet invasion of 1979. The civil war (and Western support for the mujahideen) preceded the Soviet invasion by several years. The USSR was not really defeated by the Islamists in battle: indeed the vaunted Lion of Panjshir, Ahmad Shah Massoud, made a non-aggression pact with the Soviets from 1983, allowing Soviets to set up a base in his valley (partly because Massoud felt he needed to conserve his forces to defend his valley against – Hekmatyar). The vaunted Stinger missiles from the Tom Hanks movie Charlie Wilson’s War didn’t affect the Soviet decision to withdraw, which was made in 1985, a year before the missiles arrived (in 1986). The main effect of the missiles was to force Soviet and Afghan government forces to bomb from higher altitudes. The USSR left Afghanistan because it was collapsing internally and because it wanted to repair its relationship with the West. Withdrawal was one of Gorbachev’s first decisions when he came to power in 1985, and it was completed by 1989. But the Afghan government, then under President Mohammad Najibullah, held on until 1992, with a bit of Soviet aid and the support of a population that greatly (and correctly) feared what would happen if the Islamists like Hekmatyar came to power. The United States didn’t just “walk away” in this period, either: that, too, is a myth. The U.S. kept on supporting the mujahideen after the Soviets left in 1989, making it clear that they would not allow any reconciliation effort or national unity government that included any progressive, liberal, or communist. Throughout the war, Hekmatyar became famous for his own brand of warfare: torturing and killing people because they were from Tajik, Hazara, or Uzbek minority groups, assassinating rival Islamist commanders and their troops, skinning Soviet soldiers alive, hijacking aid caravans carrying medicine and food, killing foreign journalists. Hekmatyar took over the heroin trade after assassinating smuggler Mullah Nasim in 1990 in Peshawar. But a higher priority was the murder of leftists and liberals: Dr. Faiz Ahmad of the Maoists; Meena, the founder of the Revolutionary Association of the Women of Afghanistan (RAWA); philosophy professor Sayyid Bahauddin Majrooh. The Afghan government was not easy to defeat. President Najibullah coordinated the battle of Jalalabad when Hekmatyar tried to take the important city in 1989, a decisive moment that showed that the government could hold on indefinitely. Najibullah also foiled a coup by his own defense minister, Shahnawaz Tanai, who quickly fled in 1990 to join Hekmatyar in Pakistan. The Afghan communists lost not on the battlefield, nor in Afghan public support, but when the collapsed Soviet Union under its drunken president Boris Yeltsin (who also oversaw the greatest economic collapse perhaps in human history in his own country) handed Afghanistan to the mujahideen in August 1991. Yeltsin did so in a way that would be maximally damaging to the Afghan government’s morale and will, meeting Islamist leaders in Moscow in November 1991, announcing the “complete transfer of state power to an interim Islamic government,” and that there would be no more aid beginning in 1992. Steele compared this to Obama announcing in 2008 that Afghanistan would be handed over from Karzai to the Taliban. The defections began immediately, with Afghan army commanders like Rashid Dostum carving out their own fiefdoms and taking their men and equipment with them. When Najibullah tried to flee in 1992, Dostum didn’t let him go. Najibullah hid in the UN compound in Kabul until 1996, when he was hanged from a lamppost by the Taliban. Once Yeltsin handed them the country and the government began to collapse, the mujahideen finally had their chance to show how they would govern in power. Hekmatyar took his forces and raced to Kabul, but Massoud got there first. Hekmatyar besieged the city and spent the next three years launching indiscriminate rocket attacks that destroyed the capital and killed at least 25,000 people. Along with another leader, Jalaluddin Haqqani (of the Haqqani group famous for kidnapping the main character in “Serial” season 2, Bowe Bergdahl, and more recently the Canadian Boyle family), Hekmatyar had been the recipient of the greatest US and Pakistani largesse to fight the Soviets: the estimates cited by Ishtiaq Ahmad, who wrote a biography of Hekmatyar, are that the US sent $3 billion to the mujahideen throughout the 1980s, and $600 million of it went to Hekmatyar. After a couple of years of watching Hekmatyar lay waste to Kabul, Pakistan’s intelligence agency despaired of their proxies ever setting up a stable government. They switched horses and chose a new armed group that had grown up in Pakistan’s refugee camps for Afghans on the border: students (“Taliban”) of the teachings of one of the old Islamist leaders, Muhammad Nabi Muhammadi. 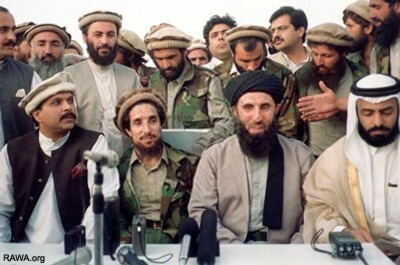 As the Taliban broke the impasse and routed mujahideen forces, heading for the capital, Massoud and Rabbani became desperate and brokered a deal with Hekmatyar, the very commander who had been shelling their capital city to rubble for years. Hekmatyar entered that capital as prime minister, further insulting and demoralizing Kabul’s people who had suffered from his siege. He lasted about two months (during which he imposed various new restrictions on women’s rights) before the Taliban took Kabul and Hekmatyar fled again, this time to Iran, where he lived from 1996-2002 in a palace outside of Tehran. The war didn’t end when the Taliban took the Kabul in 1996 and it didn’t end when they fled US bombing and went to Pakistan in 2001. Their mujahideen rivals fought on, and in 2001 the US ousted one group of mujahideen and installed another. President Bush clarified that the US interest wasn’t nation-building—a consistent position, given all the US had done to kill the nation-builders. There is plenty to criticize about Afghan communists Taraki (killed by Amin), Amin (killed by the Soviets), Karmal, and Najibullah (killed by the Taliban). The reports of tortures and murders under their governments are well documented and are to be believed. And no doubt their reforms were unpopular with at least a significant segment of the population. Because the (real) tortures and murders by Amin and Taraki are dwarfed by the now heroically returned Hekmatyar and the numerous other warlords running parts of Afghanistan today. And if Afghans weren’t ready for a redistributive land reform, were they ready for the Khalid-bin-Walid land project in Mazar e-Sharif under the US-backed government of Karzai? The governor, Atta Mohammad Noor, gave land out to his friends, former mujahideen commanders, who bought it at a subsidized rate and rented or sold it at a vastly higher market price, becoming a land mafia in Mazar (the story is told in a recent book on warlord governance by Dipali Mukhopadhyay). The governor of Nangarhar from 2005-2009, Gul Agha Sherzai, ran an electricity mafia and collected taxes on trucks, perhaps pocketing half of the funds designated for reconstruction. The people of Afghanistan can’t stomach land reform, but they are happy to tolerate land mafias? They couldn’t tolerate women’s rights, but were fine with warlords pillaging reconstruction funds? Maybe there is another explanation. History is written by the victors, after all, and if myths about the Afghan civil war don’t hold up, if the mujahideen are revealed to be a collection of imperial-backed mass murderers, thieves, and nation-destroyers, of which Hekmatyar is the quintessential example, then new myths have to be created to justify their continuance in power and Western indulgence toward them. Of the few myths left, the communists would have been worse and the country wasn’t ready still offer some comfort. With politics based on these myths, how could they not welcome Hekmatyar back? He is just an extreme version of the kind of man the US looks for, the most uncompromising opponent of the same forces the US opposes everywhere in the world—independent nationalism and leftism. With US help, men like Hekmatyar excluded and destroyed the left and killed a generation of nationalists. For that service, they are allowed to destroy the country and to continue to loot the ruins. Hekmatyar’s return will not bring peace or reconciliation. It has nothing to do with these things. It is the latest and most powerful symbol (so far) of the destruction of Afghanistan’s sovereignty. The Afghans are being used! The Fatimeyoun division. I found myself wondering if ethnicity or sect could be discerned from a photo like this. There was an Afghan community in Syria at the start of the war; some of these Afghans did join the civil war on the government side. As for Afghan fighters from Iran, the most promising reports to continue following the story were on the Iranian side. There are millions of Afghan refugees in Iran; many of them (perhaps most) are Shia, from the Hazara ethnic group. Some of the young men from this group have fought with Iran’s military in their own unit (the “Fatimeyoun”) in Syria. Since my story came out in May, I have seen reports from Iranian news agencies about such fighters – specifically about their bodies being returned to Iran for burial. Human Rights Watch has documentation about these fighters, among whom they recently found tombstones for eight child soldiers. The HRW reports are framed differently than the Syrian opposition-sourced stories about Assad’s use of “Afghan Shia militias”. Those stories emphasized that these were Afghans and Shia who were fighting for Assad – invoking ethnic and sectarian phobias in the service of war propaganda. The subtext in those stories, I wrote in May, was ” if Assad has “Afghan Shiite Militias” fighting for him, what atrocity is he incapable of?” By contrast, HRW’s reports are about the cruelty of recruiting soldiers from a vulnerable refugee population. On that score, HRW’s reports are right. Afghan refugees are mistreated everywhere they go. Iran – where Afghans have suffered mass executions and deportations – is very much included. If the story of Afghans fighting in Syria is used with an agenda to help protect Afghan refugees in Iran, that is a far better outcome than the story being used to fuel sectarian conflict in Syria’s bloody civil war. Why Won’t American Media Tell the Truth About What’s Happening in Venezuela? Earlier this week, Donald Trump stood before the U.N. and called for the restoration of “political freedoms” to a South American nation in the thoes of an economic crisis. The country in question was Venezuela, but he could have just as easily been describing Argentina, whose right-wing government imprisoned indigenous politician Milagro Sala, has run inflation into the double digits and is in the process of re-imposing the sort of austerity policies that triggered a popular revolt and debt default in 2001. The description also fits Brazil, where President Michel Temer has been caught on tape discussing bribes, his former cabinet member’s apartment recently raided to the tune of 51 million reais ($16 million). Temer, who assumed office only after leading the impeachment of his predecessor, Dilma Rousseff, has also run an aggressive program of austerity, dissolving the programs that lifted tens of millions of Brazilians out of poverty and into the middle class. In both countries, right-wing forces have taken power and undermined fragile democratic norms with the objective of reversing the modest redistribution of wealth achieved under left-wing administrations over the past 15 years. Backed by a United States government with a long history of subverting leftist movements in the region, and a mainstream media that’s all too eager to carry its water, the right is now attempting the same feat in Venezuela. Unlike Brazil and Argentina, Venezuela has been victimized by a number of factors outside of its control, but especially a precipitous drop in the price of oil, the country’s main source of revenue. The oil price drop of 2015 was a global phenomenon. Since the formation of OPEC in the 1970s, the Saudi Kingdom has been able to use its immense reserves to undermine other oil-producing countries’ attempts to maintain a high and stable price for petroleum. Even if all these nations were to ally, the Saudi Kingdom can turn the tap up or down and change the entire global economy to benefit its own geopolitical agenda and that of its U.S. patron. It did so in the late 1970s to offset lowered production in Iran after the 1979 revolution. And it did so again in 2015, partly in response to the success of the Iran-U.S. nuclear deal. It’s not a perfect mechanism; the price drop hurt the Saudi economy before prices slowly climbed anew. But the most severe effects were felt by the United States’ designated enemies: Russia, Iran and Venezuela. Since 1999, the Venezuelan government has experimented with a process of social and economic reform using constitutional and electoral means. The president who initiated the experiment, Hugo Chavez, called it the “Bolivarian Revolution,” but for the most part it is now simply called Chavismo. Chavez held power from 1999 until his death in 2013, interrupted by a three-day coup in 2002. During his presidency, the country saw a referendum on a constitutional assembly, the election of that assembly, a referendum to ratify the new constitution, a new election under that constitution, an attempt to use a provision in the constitution to recall Chavez, and two additional presidential elections, all of which were won by Chavez’s government. To say that Chavismo’s popularity and that of Chavez himself has been tested at the polls is an understatement. While Chavez was alive, no politician could rival him for the presidency. This was true despite the 24-hour demonization of him in the country’s private media and the systematically negative coverage of his government across Western news outlets. As often occurs whenever a country runs afoul of the U.S., Chavez was presented as a dictator, despite his numerous electoral victories. So popular was he that when opposition leaders seized power for 72 hours in 2002, one of their first orders of business was to shut down the government’s TV channel. As the 2003 documentary, The Revolution Will Not Be Televised, reveals, the coup was ultimately defeated when officials managed to get back onto the airwaves. When coup and media campaigns failed to upend the government or silence its mouthpiece, the opposition resorted to economic warfare. This war has had several phases: a national strike in 2002-2003 brought Venezuela’s state-run oil company, PDVSA, to a halt, denying the government its main source of revenue. But despite their personal suffering, the company’s lower-ranking officials remained loyal to Chavez (as did many of the middle ranks), stepping up to replace the striking managers and engineers in order to get the oil flowing again. A more recent phase around 2014 saw smugglers take huge quantities of subsidized fuel, food and staples across the border to Colombia to sell or simply dump, denying poor Venezuelans essential goods as a means of exerting pressure on the federal government. The Maduro administration has been able to mitigate some of these losses by carefully controlling the distribution of subsidized staples. Ultimately, the greatest source of Venezuela’s economic woes has been its own currency, the bolívar. Global markets can wreak havoc on governments by making runs on their currency, and Venezuela has attempted to immunize itself against this by imposing a fixed exchange rate. Any fixed exchange rate invites a black market, but the fixed rate in Venezuela is so far off the black market rate that anyone who obtains U.S. dollars stands to profit handsomely. Dollars can only legally be obtained through the sale of oil, so the black marketeers’ gains are the government’s losses. Two decades of relentless critcism from the right has created an unforgiving environment for mistakes. And mistakes have been made. Over the long term, the Venezuelan revolution has not been able to surmount the country’s dependency on the extractive industry generally or petroleum specifically, which had always been one of its goals. Nor has it been able to dislodge entrenched bureaucracies or elite corruption, persistent problems that would be faced by any progressive government or movement. More recently, sensible economic proposals like those of UNASUR have been ignored, or even dismissed as capitulations to neoliberalism, when they likely would have strengthened the Chavista project. Without real changes to its economic policy, Venezuela will continue to lurch from one crisis to another. If the opposition has succeeded in sabotaging the economy over the past couple of years, it has also benefited from Chavez’s death. The Democratic Unity Roundtable (MUD) may have lost the presidential election to Chavez’s successor, Nicolas Maduro, but it captured the National Assembly. No sooner did MUD assume its new seat of power than it immediately declared it would not work with Maduro. Rather than help solve the country’s economic crisis, it has celebrated it, hoping it will finally topple the governing United Socialist Party of Venezuela (PSUV). Its aims are entirely negative: MUD has no positive economic or political program of which to speak. It wants only regime change, if necessary through another military coup or a U.S. intervention, which some officials have openly pined for. If the opposition does ultimately capture the presidency, the best-case scenario is that Venezuela adopts the ruinous austerity policies of Macri’s Argentina or Temer’s Brazil. The worst-case scenario could look something like the U.S.-led occupation of Haiti, with the country’s oil industry turned over to the multinationals, like Iraq’s was more than a decade ago. How the opposition might rule is a matter of less speculation. During its three-day coup in 2002, it annulled the constitution and immediately began persecuting Chavistas. Older Venezuelans remember the years before 1999, when austerity policies were enforced with torture, disappearances and even massacres like the Caracazo of 1989. Violent threats have always been leveled against Chavismo, mainly through paramilitary incursions from Colombia. At the moment, the Venezuelan opposition is conducting a small-scale urban insurgency against the government. Abby Martin’s July program on TeleSUR, “Empire Files,” offers a flavor of what this looks like: the assassination of Chavistas, the intimidation of Chavista voters and the destruction of government buildings and warehouses (including those for subsidized food). The insurgency has put the government in an impossible position: If it represses these protests, it risks providing a pretext for a U.S. intervention or another coup. If it does not, a relatively small and unpopular opposition could impose minority rule. Meanwhile, the opposition adds fuel to the flames by refusing the government’s attempts at dialogue (which the Pope has offered to mediate). The Venezuelan government recently tried to bring its opponents back into the fold by calling for a new constitutional assembly, whose members were elected in July 2017 and which is currently in session. Its reward? Another boycott, and the rejection of all constitutional changes the elected assembly makes as illegitimate. These methods—foreign incursions, sabotage and violent demonstrations, combined with a refusal to negotiate—were part of the Haitian opposition’s playbook in the years preceding the 2004 overthrow of Haiti’s elected government. Despite the mass anti-war protests of that period, the Haitian coup was met with surprisingly little international resistance, which helps explain why Venezuela finds itself in such a precarious position. What in the early aughts looked like the birth of a new Latin American sovereignty has been rolled back: coups have overthrown governments in Honduras (2009), Paraguay (2012) and arguably Brazil (2016). As the U.S. steps up its regime change efforts in Caracas, many leftists in progressive and social media have expressed confusion or equivocation. Their difficulty in distinguishing between an embattled social democracy and a violent, right-wing rejectionist opposition is a testament to the weakness of anti-imperialism in Western politics at the moment. Progressives should have no such difficulty. Chavismo is an incomplete, flawed, ongoing democratic experiment. The alternatives on display are clear: terror, occupation and austerity.